Alita is a cyborg living in the future, having a passably constructed body and the personality of a caring teenage girl, but robotic parts enabling her to go head to head with some fearsome monsters. 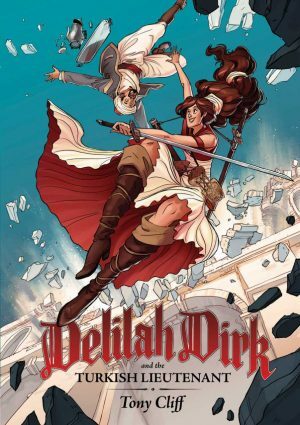 Volume one introduced Alita and the world she was revived in, and creator Yukito Kishiro now takes the time to explore that post-apocalyptic world more and to explore Alita more. The Scrapyard, where everyday life is a struggle, is revealed as the flotsam and jetsam of society, with the tethered floating city of Tiphanes where the privileged live. 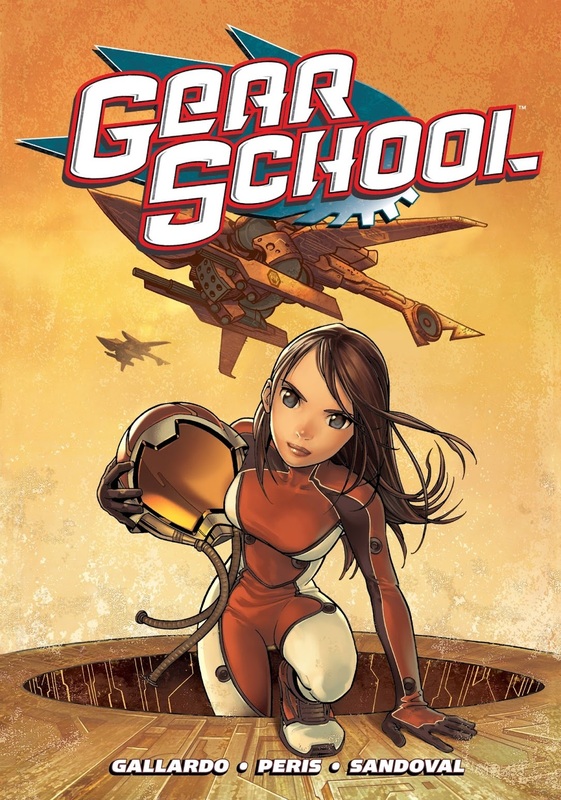 Kishiro’s art improves throughout the series, and this is a step up already, with clearer layouts and a greater sense of how to develop a credible personality. While his earlier designs had a manic creativity to them, the cyborg monsters seen in Tears of an Angel have a more refined look, and there’s a lot more scene setting background detail, and mood created by weather and darkness. On a couple of occasions Kishiro opens out into a jaw-dropping spread. These can be moments of quite contemplation such as Alita looking over the Scrapyard at night, or full on action. 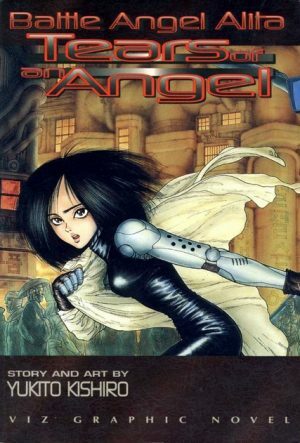 Tears of an Angel’s main plot is character driven, with Alita falling heavily for Hugo, an ambitious young teenager working very hard in the belief that he’ll be able to escape the Scrapyard with enough money. 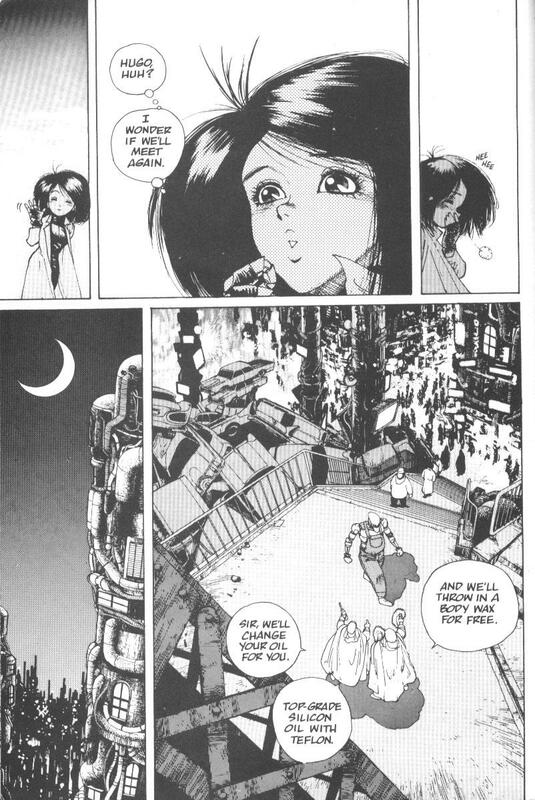 What Kishiro reveals to the readers but keeps from Alita until halfway through, is that Hugo is involved in morally objectionable activities in order to finance his dream. It sustains tension well, as does returning Zapan, a cyborg bounty hunter with a grudge against Alita to complicate the plot. 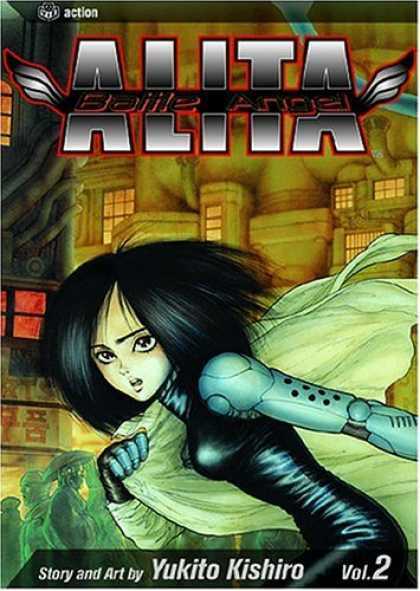 Kishiro takes more time to develop Alita’s character, primarily lovestruck naivety, but uses that for audience sympathies. 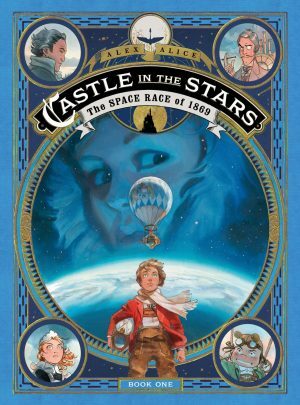 There are several surprising revelations before what’s ultimately quite the tragic story of deceit, although the ending is surprisingly abrupt. Tears of an Angel is a major leap up the quality ladder, and Killing Angel continues the progress. In 2017 Kodansha repackaged the series at a larger size, in hardcover, including the original colour pages in colour, and with a new translation, and relevant here is that they’ve changed some of the names. 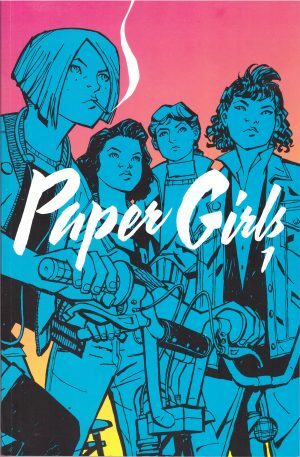 Their digital editions match the original nine volumes, but the physical books compress the story into six longer books, and this is combined with the previous volume one to form a new volume one.